Mercedes C-Class C220d 4Matic AMG Line Premium Plus 2dr 9G-Tronic 2019 Review | What Car? What Car? will save you at least £4,728, but our approved dealers could save you even more. 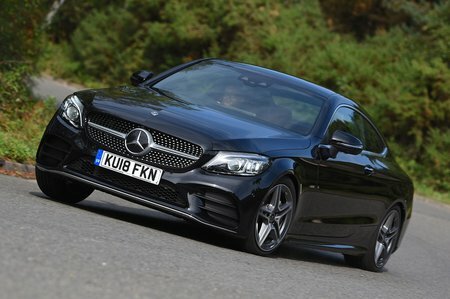 The Mercedes C-Class Coupé is good to drive and and well-equipped alternative to the Audi A5. However, it isn't as comfortable as its key German rival nor quite as practical. The only trim level for regular Coupes gets AMG bodystyling, 18in alloy wheels, LED headlights, a 10.25in infotainment system with DAB radio and sat nav plus faux leather seats.